Lin Qian once thought the man she wanted would be handsome and formidable, able to “create clouds with one turn of the hand and rain with another turn” in the business world, causing her to look up to him in admiration. There would be nothing he could not accomplish. An encounter, ordinary and dull like flowing water, produced the most dramatic and best years for him and her. Reviewed at 16, Rated 4. Ding Mo specialized at creating romance drama with background full of intrigue, and it prominently displayed on Our Glamorous Time. But don’t be mistaken; the intrigues were not as cliche as love triangle or square, because the intrigue this time was intrigue on business world. Fighting to boost market share, competing to win tender, industrial espionage, etc. Both the MC and her love interest was smart and driven; a perfect candidate for a power couple. 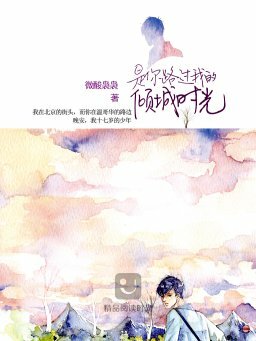 If you like “When Snail Loves” (another work by Ding Mo, but... more>> in a different setting with police detectives as protagonist), or Hong Kong business drama (like "At The Treshold of An Era"), then you’ll probably like this. The beginning of the story was a bit slow though, as suggested by the description above (“an encounter, ordinary and dull like a flowing water” indeed). Even till the latest translated chapter, the romance between the main OTP was still stalled. However, an interesting turn of event was just happened, and I’ve got high hope regarding the next chapters. I’ll definitely be back to re-review. Another amazing work done by the author. Commerce war, romance development and character developments are on point. I admire the MC's personality of not letting herself be pampered and fighting back to her setbacks. The pacing of the story is slow throughout the story but it was the perfect pace that fits the progress of the story. Strongly recommending it! Ding Mo never fails to amaze us!! P.S. The extra chapters are really funny though. It's fun to see the wives in OGT, WHCCYE and WASL. A pretty deep and interesting romance with a fairly strong female lead (I explain why I say 'fairly' in the spoiler) and a focus on corporate politics/media/advertisement and fighting for market share. The schemes and details in the business world were pretty believable, with only a bit of hand-wavy magic, so the author definitely did some research. This author is very good at writing a mature toned story where the face-slapping is more subtle and there are more three-dimensional villains and the story and romance overall progresses in a logical manner.... more>> It's a very good read with very few contrived situations. I definitely enjoy the 'teaming up to go against the world' feeling between the MC and ML. Overall, it was a difficult book to put down! One very subtle issue is still the matter of CN culture/subtext in the story. While the author tries very hard to present a strong female MC, all of her actions are still written as being under the purview of the ML. It's stated several times that her choice to break away to stand on her own was 'allowed' or humored by the ML due to his love for her. The MC's brother is the same. In the end, the author writes that the MC feels more comfortable supporting the efforts of the ML instead of being at her own company. Of course, there's nothing 'weak' about supporting the person you love. However, this is a consistent theme in most C-novels and this author's stories. The female MC once again is only allowed to be strong enough or independent enough to suit the male characters protecting her. She will never be written to outshine them or take up a bigger share of any life burden because of her gender. I'm so sick with all the misunderstandings and unnecessary dramas with schemes on every fcking stories I've read oh my gosh AND GUESS WHAT this story is so refreshing!!! A military background ML who suddenly jump into the business world because of his deceased brother and repair the company that was about to go bankrupt because of it's former CEO. And yeah he basically seems a bit noob at the start and the somehow the MC underestimate him but of course our ML has to be the... more>> perfect husband, he immediately adapt to things perfectly, and handle them in a smart way. Which also once made the MC insecure of her own intelligence lol. But eventually they'd be at the same level and I LOVE THEIR INTERACTION. Don't forget about the MC's protective brother (he has his own story, titled Dont Turn Away From Summer), a billionaire. The MC wont make calculations with ML regarding company shares and everything bcuz they're in love already but then her brother be like, "It's okay, just leave all of the calculations to me" lol he really love the MC and doesn't want the MC get mistreated. I love how THE ML IS BEING A SWEET TALKER. I just had to write a review for this novel, but a concise one since I'm bad at expressing what I think. This novel has, by a slight margin, surpassed my favourite romance web novel, Chongfei Manual. If I were to give the latter a 9, then this one would bear a shiny 9.1. I just loved how descriptive the author was when writing both the scenarios and the characters. It feels as if life was breathed into them and I could vividly picture the atmosphere, the interactions between the characters,... more>> as if I was just right beside them, albeit invisible. Don't get me started on the romance. I could feel the butterflies in my stomach wanting to burst out reading all the instances of romance in this novel. Everytime I read their intimate acts together, I can't help but wish to just rush out my doors to find my own to dote and pamper just as the male lead does to the female protagonist. I went too deep into the novel that I can't help but to look for someone who's just as independent and valiant, yet kind, reserved and as lovable as the female protagonist in the crowd whenever I venture out.